Caution! Big Sis coming through! 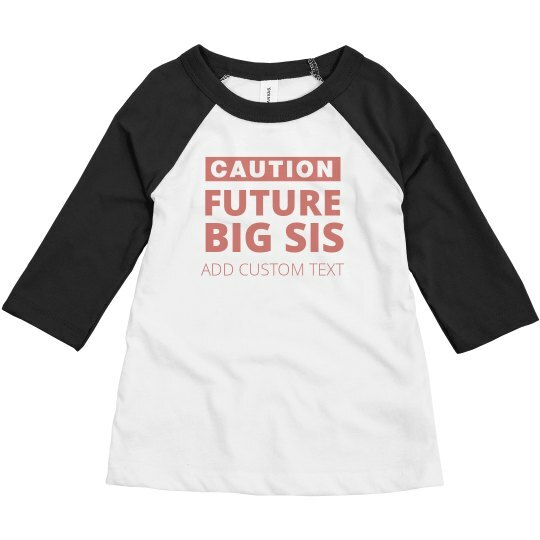 Announce the newest addition to the family with this cute customizable design. You can adjust the text at the bottom to make it unique for you. Check out the Big Bro version to have a matching set!